Zeller & Millipede! And October Events! Quick reminder, tomorrow night is our show with Zeller & Millipede! If you’re not familiar with either artist, I recommend checking out their stuff online right now. The show’s cheap and it will be a nice chill event with some fantastic music. Also, coming up in October we have two events. 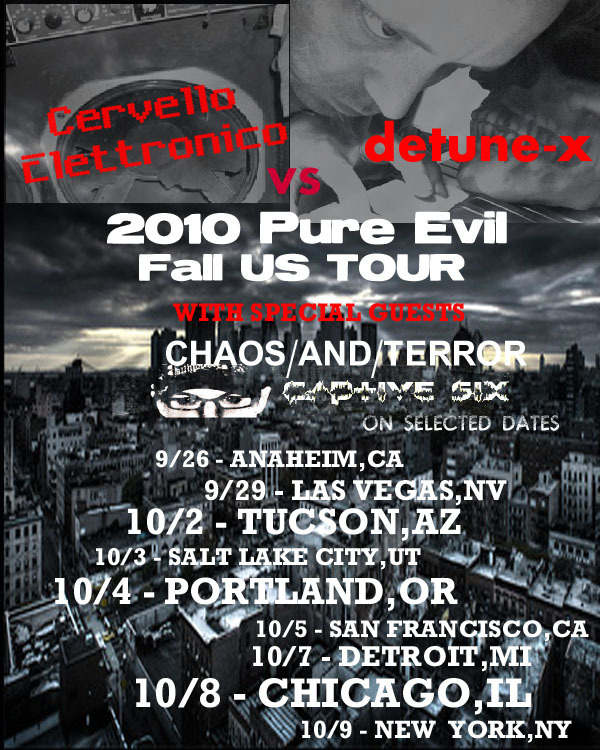 First, on Fri. Oct. 8th a show featuring Cervello Elettronico vs. Detune-X and Fractional at Underground Lounge! Then on Fri. Oct. 15th our monthly takeover of Neo, Nexus 6, featuring DJs Licious and Sprite! ~ by infomorph on September 23, 2010.